Big brows haven't always been the trend and by gosh, don't I know it! I was born with extremely full and thick eyebrows, so when the whole thread-like brow trend was a thing, I stuck out like a sore thumb. But now, my big brows are doing me proud and there are a bunch of products on the market to help me keep them in check. One of which is the Universal Brow Pencil* by Billion Dollar Brows (£17), which was kindly sent to me by the lovely people over at KLM Beauty - the home for unique and edgy beauty brands. As soon as this pencil landed on my doorstep, I just couldn't wait to try it out! While I am head over heels for the NYX Micro Brow Pencil, I'm always on the lookout for other products that I can use alongside it, especially products that will give them and hold that feathery, bushed-up look. I've tried plenty of things that are ideal for filling in my sparse patches, but I haven't got anything that can hold the hairs in place without the use of a brow gel. 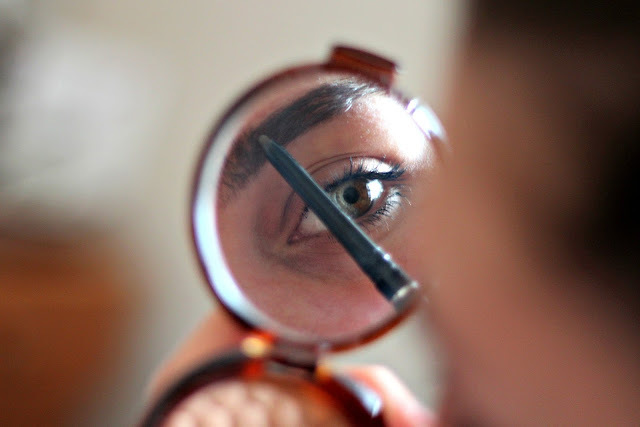 This is where the Universal Brow Pencil steps in! I wasn't entirely sure what to expect when KLM Beauty said that they wanted to send the pencil to me, but I was pleasantly surprised when I opened the parcel to see this little fella looking back at me. As you can see, it's a double-ended product made from black plastic with metallic silver lettering. To me, the overall packaging of it gives the impression of a fairly high end and good quality product, so I was looking forward to actually using it. One end of the product is the actual pencil (it was much more pointed before I started using it, but due to the texture of the pencil, it has worn down a considerable amount. 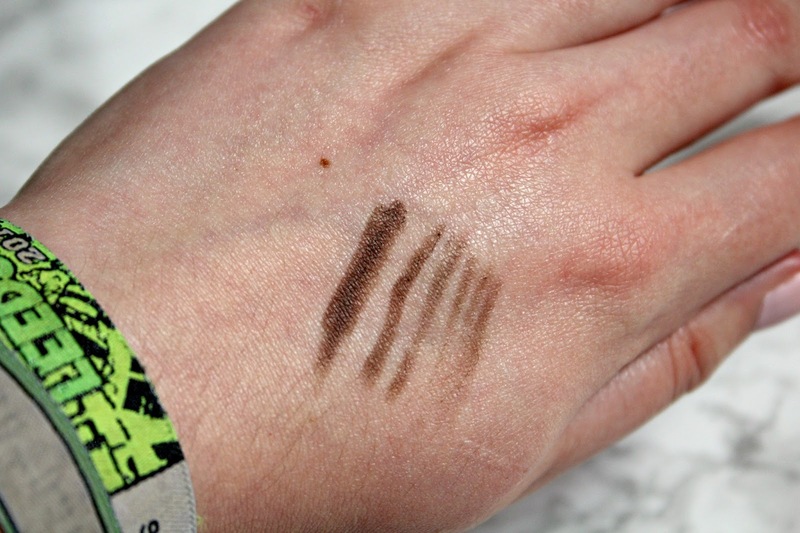 I'll get on to that a bit later), which is quite a deep brown shade with a slightly cool undertone (as you can see in the swatches below), and the other end is a pretty big spoolie. There's nothing worse than a skinny little spoolie that you just can't get much use out of, but this one is a good size for brushing a larger area of hairs. My initial reaction to the colour was "wow, this is perfect for me" but then I thought more about the 'universal' aspect of this pencil. There's absolutely no way that this shade would work for blondes or redheads, even if you do use it with a light hand, but I've done a bit more research and discovered that this pencil is also available in blonde! Due to the pigmentation of this product, you've got to be careful that you don't go too overboard. You can get a much lighter colour if you use a light hand, but if you've got dark brow hairs like me (mine are practically black), then you can layer this product to create the shade that you want, making it ideal for us darker haired people. Billion Dollar Brows also claim that this product has been formulated to work with all skin tones, which I can definitely believe. While the colour has a slightly cool look to it, it's fairly neutral and buildable, so this product could work for absolutely everyone. Now, I've been using this product for a couple of weeks and it's fair to say that I absolutely love it. The NYX Micro Brow Pencil really is like a pencil in that it's just like drawing on individual hairs, but this pencil is more like a crayon. It has a much creamier and wax-like texture to it (hence why mine has kind of rounded out), which means that it can fill in my sparse areas extremely well. Not only is it ideal for that, but because of the waxy and crayon-like texture, I find that it holds the feathery look extremely well without looking too done. While it is creamy and super pigmented, it isn't impossible to achieve a natural look. By brushing the hairs upwards or slightly backwards with the pencil, it helps to fluff them up and coats them to help keep them that way. It gives my brows so much body and while they definitely don't need to look bigger, I find that it really flatters my face. Another way that I like to use this product is to define the top and bottom of my brows, and to fill in the tail and the arch. The only area I don't tend to use this product is the front of my brows as I find it's a little too intense and can make my brows look a little blocky. 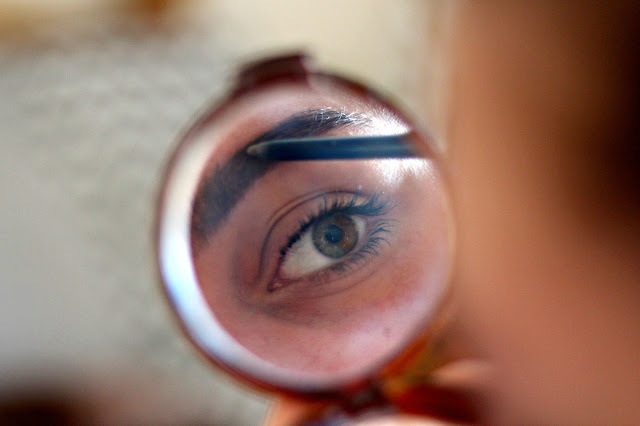 I know that if I practise a little bit more and be very gentle, I can achieve that faded, Instagram brow look with this product, but for now, I'll just stick with using my Natural Collection Clear Mascara to help blend it all together. 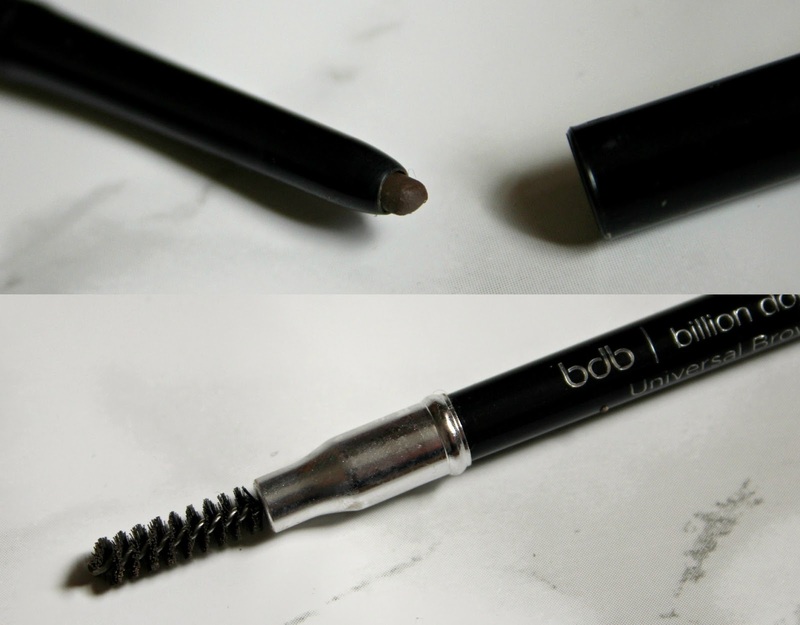 If you're a fan of the super defined brow look though, this is 100% the brow pencil for you! The Universal Brow Pencil is something that I can see myself using constantly, as I can really achieve the look I want with it. I'm someone that loves having strong brows and embracing how big they are, but I also love them to look natural and barely touched. 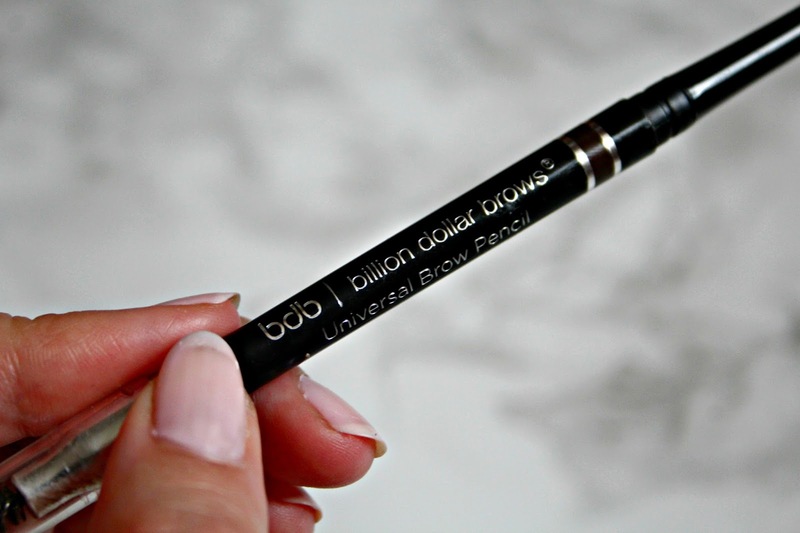 This is something that the Universal Brow Pencil gives me, so I've welcomed it into my makeup collection with open arms! If you're into a similar look or you're just looking for a new product to try, you should definitely give this a go. I really don't think you'll be disappointed! Thank you to Billion Dollar Brows and KLM Beauty for sending this gorgeous product to me - my brows will forever be on fleek!